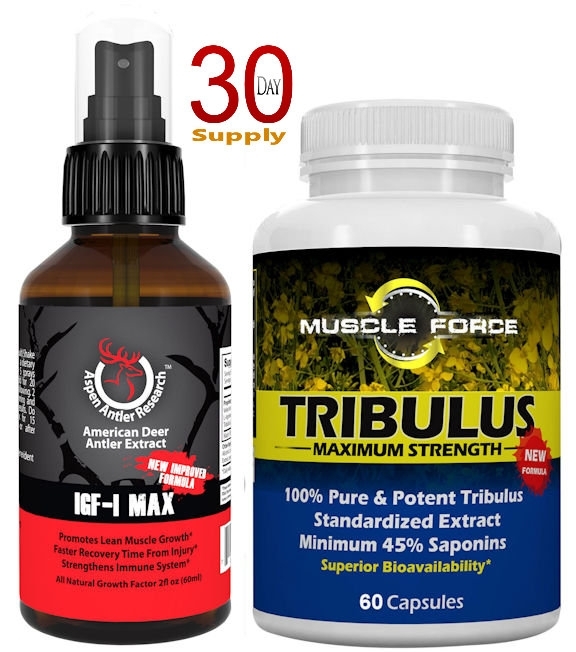 Maximum Muscle & Male Enhancement Stack | Aspen IGF-1 Max Spray Plus Muscle Force Tribulus Terrestris | 30 Day Supply | 2x Testosterone Boosting | Plus IGF-1 & Other Growth Factors! "Stacking" is a term for taking multiple supplements at the same time that work toward the same goal. 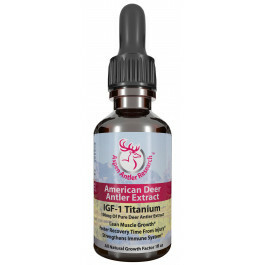 Deer Antler Velvet and Tribulus use different mechanisms and actions within the body to aid in supporting hormone levels and systemic growth, including lean muscle, bone, nerve and more. So why not take advantage of them at the same time. 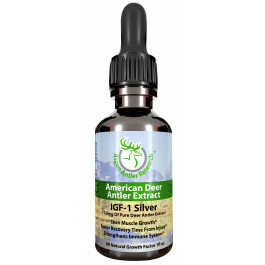 Component 1 - Aspen IGF-1 Extreme - Antler Velvet Spray! Proprietary Process Results... Purest Effective Concentration 43X! Component 2 - Muscle Force Tribulus Terrestris - #1 Rated Formula! PURE BULGARIAN TRIBULUS | 1500MG Maximum Strength | 45% Steroidal Saponins | LECITHIN FOR SUPERIOR BIOAVAILABILITY | 60 Count | 30 Day Supply Per Bottle | US MFD | Free Shipping! PREMIUM QUALITY AND MANUFACTURED IN THE USA! 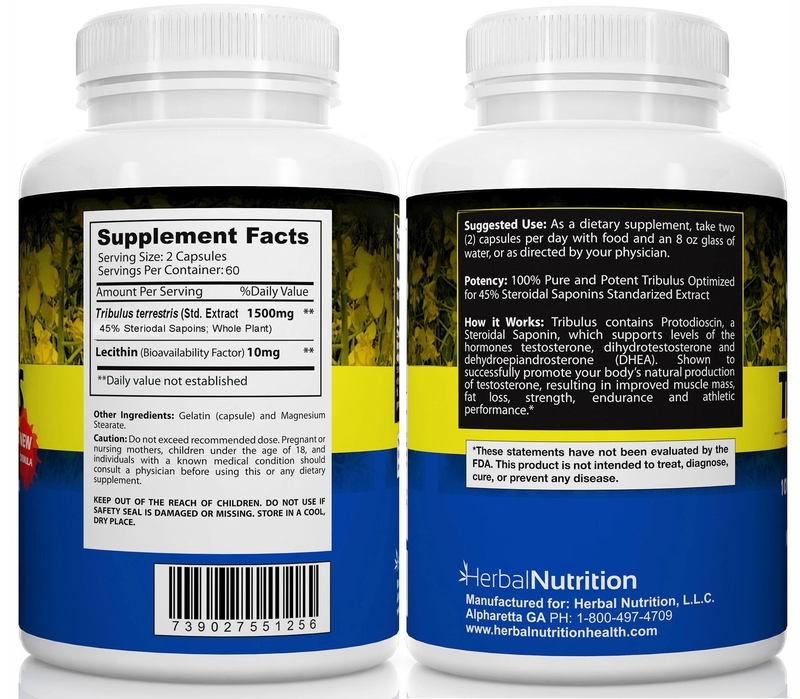 Our Tribulus & Deer Antler Velvet are manufactured in the U.S. by an FDA approved GMP manufacturer. All our products are third party tested to ensure their quality, and we guarantee your satisfaction with a 100% money back guarantee. YOU CAN TRUST THE HERBAL NUTRITION ASPEN ANTLER & MUSCLE FORCE BRANDS! Our goal is to help people improve the quality of their lives, by providing nutritional supplements that will benefit their health and athletic performance. We developed the Herbal Nutrition Brand to deliver only the highest quality supplements and have helped thousands of people achieve their goals for more than a decade! Our commitment to our customers is to provide only the highest quality supplements and exactly what is on the label of our products! All our products are GMP manufactured and tested for authentication. 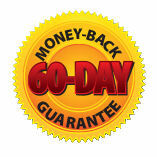 Herbal Nutrition Quality 100% Guaranteed! 1 Bottle | 1fl oz | 37mg Per Serving ($135.95) Plus FREE Product! 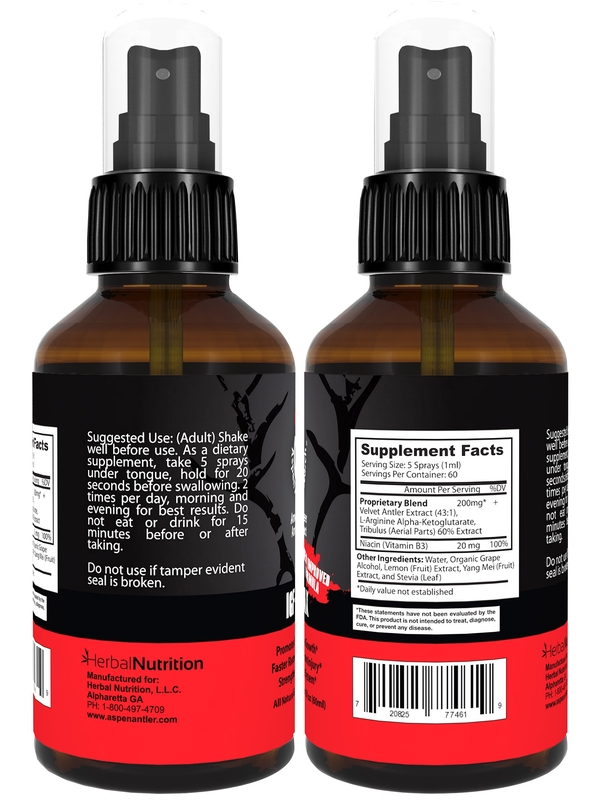 1 Bottle | 1fl oz | 20mg Per Serving ($69.95) Plus FREE Product! 1 Bottle | 1fl oz | 50mg Per Serving ($165.95) Plus FREE Product! 1 Bottle | 1fl oz | 12mg Per Serving ($55.95) Plus FREE Product! 1 Bottle | 1fl oz | 150mg Per Serving ($244.95) Plus FREE Product! You will earn 29 Reward Points Toward Free Product for purchasing this product.